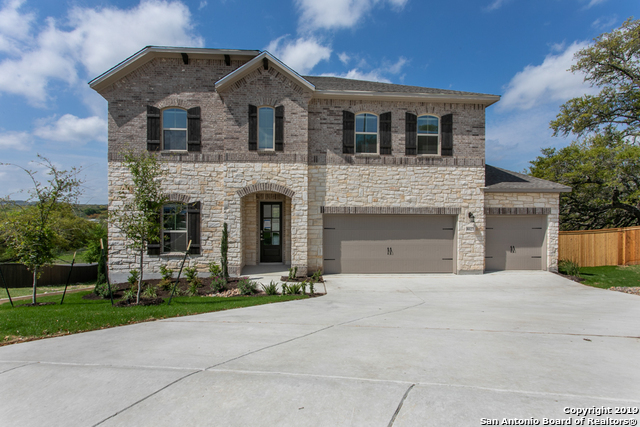 All SABLECHASE HOA homes currently listed for sale in Boerne as of 04/18/2019 are shown below. You can change the search criteria at any time by pressing the 'Change Search' button below. "Stunning 2 story 4 bedroom 3 1/2 bath brick/stone home. Open floor plan w/ wood flooring. Spacious dining area. Beautiful kitchen w/ SS appliances, great lighting, ample storage, granite island/countertops & ease of access to living areas. Living room has high ceilings, fireplace & wide windows for scenic backyard view. Elegant master retreat w/ view. Master bath w/double vanity, walk-in shower & garden tub. Large loft & sizeable guest bedrooms. Backyard has lovely elevated covered patio w/ ceil"